A few days after Donald Trump’s January 20th inauguration, the newly-minted president summoned House and Senate leaders to the White House for a reception – ostensibly to discuss his upcoming legislative agenda. But it was at that same bipartisan White House gathering that Trump would claim, according to congressional leaders who were in attendance, that had millions of illegal immigrants not voted, he would have won the popular vote in the 2016 presidential election. According to Trump, the popular vote was stolen from his as a result of massive voter fraud. Former Secretary of State Hillary Clinton lost the Electoral College to Trump but beat the president in the popular vote by nearly three million votes. Subsequent the aforementioned White House reception, White House Press Secretary Sean Spicer was bombarded with questions from inquiring reporters, requesting Spicer to provide evidence to support his boss’ claims of massive voter fraud. I think there’s been studies. There’s one that came out of Pew in 2008 that showed 14 percent of people who voted were noncitizens. There’s other studies that have been presented to him. It’s a belief he maintains. To date, the Trump Administration has presented zero evidence to substantiate the president’s claims of widespread voter fraud. Now, Trump is using the power of the White House to try and prove that millions of illegals swung the election’s popular vote to Secretary Clinton. A Presidential Advisory Commission on Election Integrity was formed last month. The commission held its first meeting last week and is taking steps forward in a 50-state attempt to prove that Trump’s claims have some validity. Trump named Vice President Mike Pence and Kansas Secretary of State Kris Kobach as the chair and vice-chair of the committee, respectively. The voter commission has asked all fifty secretaries of state for complete access to their voting rolls as well as their resident’s voting history, dates of birth, addresses, political parties, felony histories, the last four digits of their social security numbers, and more. Privacy rights activist and voting rights proponents have joined together in an alliance to fight back against what they describe as Trump’s infringement on states’ rights and an egregious invasion voters’ privacy. States have the authority to create their own rules about how much voter information is available to the public, who can access the information and what people can do with voter data. Once states willingly hand over voter information to the federal government, that information becomes public domain and is no longer subject to state law; essentially the federal government can do as it pleases with whatever information is provided by the states. 44 states have said they will provide none or as little as possible of the requested voter information, including Maryland. After receiving Kobach’s request in a letter, Maryland election administrator Linda H. Lamone first sought an opinion from the attorney general’s office. But after Attorney General Brian Frosh’s office issued an opinion that deemed the Trump Administration’s request a violation of Maryland law, Lamone rejected Kobach’s request and denied the Trump Administration the right to view Marylanders’ voter information. But one prominent Maryland Republican is going on offense on behalf of President Trump. 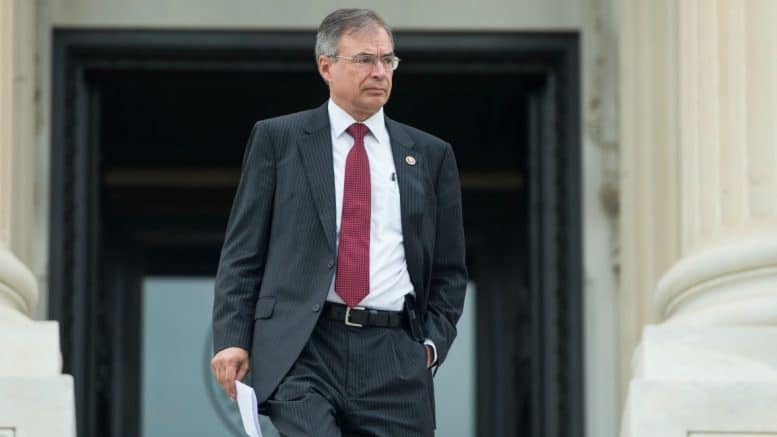 Rep. Andy Harris (MD-1), an unshakable Trump ally in the Republican-controlled House, is threatening to introduce legislation that would withhold federal funds from states that refuse to turn over voter data. I emailed Clark a request for comment and later followed up last evening after receiving no response or acknowledgment. In my email to Clark, I requested that she provide me the last four digits of Congressman Harris’ social security number as well his date of birth, voting history, and home address. Clark has yet to respond to my email requests for comment. This morning I emailed Rep. Harris’ chief of staff and legislative director with the same request: the last four digits of Harris’ social security number. I have received no response to my request for comment from Harris’ chief of staff and legislative director. I then called Harris’ D.C. office and spoke with the man who answered Harris’ office phone. I asked the Harris employee/intern (I did not verify if the man is a paid employee or an intern) if he could please provide me with the last four digits of the congressman’s social security number. The man refused my request, laughed out loud and referred to my request as “ridiculous.” I asked the man why he refused my request, pointing to the Trump Administration’s request for the same personal information. I thanked the Harris employee/intern for his time and asked that the congressman’s communications director or chief of staff please call me with a statement. Yesterday afternoon I contacted Maryland’s Office of the Attorney General and spoke with Raquel Coombs, the AG’s Director of Communications. I requested from Coombs an official, on-the-record statement on Harris’ plan to punish states who refuse to turn over voter information to the president’s voter fraud commission. 40-plus states have denied the request for information. Congressman Harris’ bill would suggest that he agrees with denying funding to the majority of states. “The congressman is looking to penalize his own constituents. I reached out to every member of Maryland’s congressional delegation, requesting reaction to Harris’ stated intent to introduce legislation to withhold federal dollars from states, including Maryland, that refuse to comply with Trump’s request. Congressman John Delaney (MD-6), Dutch Ruppersberger (MD-2) and Anthony Brown’s (MD-4) offices responded to my request for comment. Donald Trump has lied repeatedly and made unfounded claims about the election because he’s embarrassed that he lost the popular vote. Red states, blue states and purple states are rejecting the needless and invasive actions taken by the White House’s fraudulent voter fraud commission and I certainly don’t think Maryland should be punished for protecting our citizens’ privacy. The commission is requesting too much personal information, and in violation of Maryland law. To threaten to withhold federal funding from the 40-plus states who are refusing to comply is surprising, especially coming from a member of a political party that often complains about the big hand of federal government. What happened to state’s rights? Congressman Brown strongly supports Attorney General Frosh and the Maryland State Board of Election’s decision to not comply with the Trump Administration’s unlawful and discriminatory request for private voter information. The so-called “Voter Fraud Panel” is nothing more than a shill to support the President’s claim that he lost the popular vote of the 2016 election because of millions of bogus votes. In fact, there is absolutely zero evidence of widespread fraud in our elections. This is yet another attempt to intimidate Americans, make voting more difficult and roll back effective laws like the National Voter Registration Act. The panel is a waste of hard-earned tax payer dollars and should be disbanded immediately. Congressman Harris’ communications director is, according to her automated email response, due back in the office tomorrow. I will attempt to contact her again for a comment. Please continue to follow AMinerDetail.com for Maryland political news. 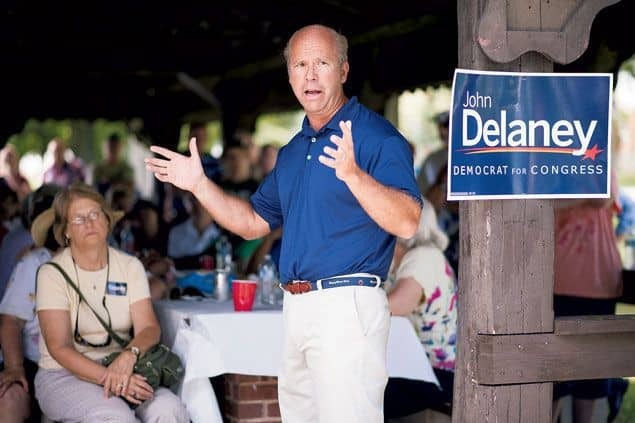 Bigger plans than governor for John Delaney?